"We're starting to shoot in June." That still gives them a full eight months to prepare for shooting. Then again, that is another full eight months where something could go wrong. Seven and Gone Girl director David Fincher came on board the sequel last year and that seemed to light a fire where one previously didn't exist. However, his commitments on Netflix's Mindhunter season 2 got in the way of filming the movie this year. According to Gardner, Fincher is still on board and yes, Brad Pitt still intends to reprise his role from the first movie. "What more do you need to know? Brad Pitt is Gerry Lane. He's back. David Fincher is directing." Dennis Kelly (Utopia) is currently penning the script which, according to Jeremy Kleiner, is still being worked on. They've got plenty of time to hammer it down, if this timeline sticks. Given that the first World War Z had a ton of production troubles and ultimately needed massive reshoots in order to fix what was, by most accounts, a total dumpster fire, it's not surprising that Paramount is taking the time to try and get this right. They don't want to find themselves in another similar situation. Especially with a guy like David Fincher involved. He's never directed a sequel, nor has he really tackled a franchise movie before and a guy of his talents would be understandably cautious when it comes to doing such a thing. 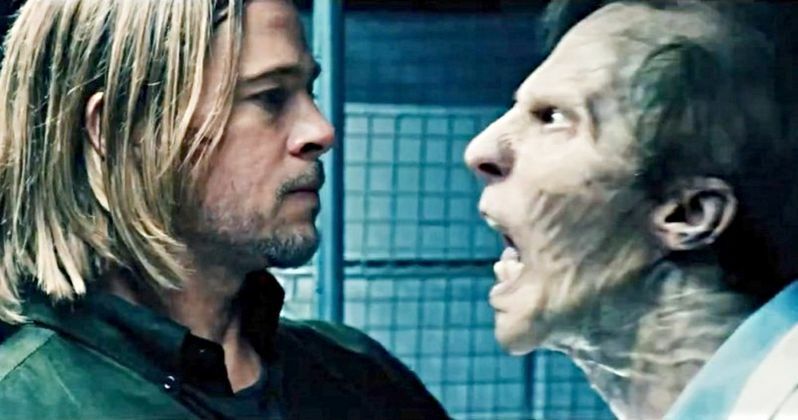 In spite of those production troubles, World War Z fared reasonably well with critics and moviegoers and earned a very respectable $540 million worldwide. By the time the sequel actually hits theaters, it will likely have been seven years between installments. But with Brad Pitt teaming back up with David Fincher, whose previous collaborations include Fight Club, Seven and The Curious Case of Benjamin Button, audiences should have good reason to pay attention. World War Z 2 is currently without a release date. You can check out the interview clip from the Variety Twitter account for yourself below.